New bail program is established allowing persons unable to afford bail to be released on promises to appear. Its success leads to passage of state bail legislation. Alvarado v. Dunn – Federal court declares unconstitutional Connecticut’s rule that persons must reside in the state for one year before receiving welfare benefits. State v. Hudson – The Connecticut Supreme Court requires that court fees be waived for poor persons who file appeals in criminal cases. Solman v. Shapiro – Court order stops state policy of reducing welfare grants to children who live with stepparents. Boddie v. Connecticut – The United States Supreme Court decides that a Connecticut law requiring payment of court fees in divorce actions unconstitutionally violates due process by denying poor persons access to court. Gonzalez v. Harder – State adopts regulations preventing cities from terminating welfare benefits without a prior hearing. Wallace v. Johnson – Federal court declares unconstitutional the Veterans Administration’s reduction and termination of disability benefits to veterans without prior notice or an opportunity to be heard. Campagnuolo v. Harder – Second Circuit orders the district court to determine whether the Fourteenth Amendment was violated by Connecticut welfare statutes and regulations that established when an employed individual could receive welfare benefits to bring her family up to a minimum level of subsistence. Rivera v. Dunn – Federal court holds unconstitutional another Connecticut statute (see Alvarado v. Dunn, above) denying welfare benefits to individuals who have not resided in Connecticut for at least one year. Lynch v. Household Finance Corporation – The United States Supreme Court finds for the first time that deprivation of not only personal liberties but also property rights can violate the Constitution. Marotti v. White – Federal court enjoins the state from continuing to deny welfare assistance to needy aged, blind and disabled persons. Barber v. White – Federal court rules that New Haven is charging illegally excessive rent to thousands of welfare recipients in city public housing. Porta v. White – Federal court declares illegal the State Welfare Department’s “transfer of assets” rule. Givens v. W.T. Grant Co. – After the United States Supreme Court ordered the Second Circuit to reconsider its dismissal of this case in which multiple plaintiffs were claiming that W.T. Grant’s sales contracts are usurious and unconscionable, the Second Circuit removes the case to state court upon request of the plaintiffs. O’Brien v. Trevethen – Federal court holds that charging bankrupt individuals a $10 fee for filing affidavits of indigency violates due process. In re Kokoszka – Second Circuit holds that the referee in a bankruptcy proceeding must determine on a case-by-case basis whether to pass a bankrupt debtor’s income tax refund onto the trustee in bankruptcy, or to allow the bankrupt debtor to retain all or a portion of the refund. Connecticut Union of Welfare Employees, et al. v. White – Federal court refuses to dismiss an action brought by Connecticut welfare employees challenging Connecticut’s policies regarding assignment of caseworkers to welfare recipients. Ives v. W.T. Grant Co. – In a lawsuit affecting 29,000 customers of W.T. Grant (see Givens v. W.T. Grant Co., above), a court injunction prevents W.T. Grant’s use of usurious coupon books that fail to clearly disclose finance charges and credit terms. Burrell v. Norton – Federal court declares unconstitutional a state rule that denies emergency welfare assistance to persons affected by emergency situations such as theft. New Haven Tenants Representative Council v. New Haven Housing Authority – Court order prevents eviction of 83 tenants who never received proper notice of their pending eviction. U.S. v. Dixwell Housing Corporation – Federal court order preserves 49 apartments as low-income housing. Foskey v. Hills – Federal court prevents the New Haven Housing Authority from illegally increasing rents for 739 tenants receiving welfare benefits. Morales v. Hills – In a case that later becomes part of a nationwide settlement returning $60 million to tenants, LAA challenges a utility switch-over in and failure to pay operating subsidies to a federally subsidized housing project. Sanchez v. Maher – In response to an LAA lawsuit alleging inadequate services to Spanish-speaking recipients, the State Welfare Department hires additional Spanish-speaking workers. Sockwell v. Maloney – Federal court prevents the state from continuing to terminate foster care benefits without prior notice or an opportunity to be heard. Davis v. Village Park II Realty Co. – Second Circuit overturns dismissal of a case in which an elderly public housing resident who chaired the tenants’ association at her building challenged the landlord’s termination of her lease on the grounds that the termination was in response to her outspoken advocacy on behalf of tenants. Morales v.Lukas – State law is changed to require prior notice and opportunity to be heard before bank accounts can be seized. Martinez v. Maher – In a lawsuit affecting 2,200 needy children in Connecticut, a federal court requires the state to promulgate new welfare standards. City of New Haven v. Gonzalez – Tenants of 12 buildings gain appointment of a receiver to collect rents and make repairs to remove fire hazards and other serious threats. Rudd v. Holiday of Bridgeport, Inc. – Court issues an order preventing health clubs from issuing contracts that illegally contain a 23% interest rate and deprive customers of their right to cancel. Connelly v. New Haven Housing Authority – State court injunction requires immediate repairs to correct the lack of adequate heat and hot water at Elm Haven High Rises. Community Labor Alliance v. Employment Security Board of Review – Federal court declares unconstitutional the state’s practice of routinely denying claims for unemployment compensation. R.M. v. New Haven Board of Education – Forty children who had been held on a waiting list are placed in learning labs. Jones v. Maher – Court issues an injunction preventing the state from discontinuing welfare benefits to households that include a needy full-time student between the ages of 18 and 21. Nelson v. Regan – In an action filed on behalf of over 20,000 persons, a federal court declares the State’s operation of its tax refund intercept program to be unconstitutional. McNamara v. Peraro – State agrees to substantially revise its policy of denying unemployment compensation to an estimated 1,400 seasonal workers. Mutts v. Dale Funding Corp. – State changes its policy to ensure that tenants will not be ejected from their homes in mortgage foreclosure actions without notice of the proceedings and an opportunity to be heard. Hoskie v. New Haven Housing Authority – An agreement is filed ensuring that African-Americans, single parent families, and families receiving public assistance are not discriminated against in admission to public housing. Dukes v. Durante – The Connecticut Supreme Court finds that tenants whose apartments have been condemned by city officials as unsafe are entitled to relocation assistance and benefits. Staffier v. Kastens – Successful conclusion of one of the first lawsuits in the country asserting that sexual harassment in the rental of housing is a violation of the Federal Fair Housing Act. Grant v. Harris – State is ordered to stop placing families in need of emergency housing on a waiting list. White v. Heintz – State is prevented from evicting 100 families from emergency housing. Nelson v. Heintz – Challenge to the adequacy of the housing support paid to city welfare recipients results in substantial increases in monthly payments. Jones v. Heintz – State court order prevents the City of New Haven from disposing of the personal belongings of welfare recipients living in emergency housing. Stevenson v. Ansonia Housing Authority – Lawsuit stops the Ansonia Housing Authority from assessing large retroactive rent charges against tenants and utilizing “sham” administrative grievance procedures. Hoyeson v. Prete – Successful outcome reached in a suit against the owner of a federally subsidized housing project for refusing to rent apartments to welfare recipients. Brookshire v. J-Mac Realty – State court enters judgment in favor of victims of an apartment listing service that had failed to provide services as advertised and had refused to refund the listing fee as required. Dow v. Green – Successful challenge to the New Haven school system’s policy on community violence, which had resulted in the expulsion of a special education student who had been the victim of a violent crime in the community. Harrison v. Town of Old Saybrook – Town is prevented from prohibiting the use of motels within its boundaries as emergency housing by homeless families. Hilton v. City of New Haven – State court enjoins City of New Haven from closing a 75-bed shelter for homeless persons. Beasley v. Harris – In a lawsuit affecting over 12,000 Connecticut families, a federal court declares the State’s failure to promptly make monthly child support payments to families to be illegal. Welfare v. Ginsberg – State changes its practices to provide former welfare families with payments for child support that the state collects on their behalf. Connelly v. Housing Authority of the City of New Haven – The Connecticut Supreme Court holds that tenants living in public housing cannot sue for damages resulting from the Housing Authority’s failure to provide heat and hot water under the Connecticut Unfair and Deceptive Trade Practices law. In re Baby Girl B. – The Connecticut Supreme Court upholds the Superior Court’s decision to reopen a default judgment terminating the parental rights of a teenage mother who had abandoned her baby in the hospital shortly after giving birth. Mercado v. Commissioner of Income Maintenance – Connecticut changes its law to disregard the earnings of students in determining eligibility for welfare benefits. Hilton v. City of New Haven – The Connecticut Supreme Court holds that homeless individuals do not have a right to subsistence benefits in the form of emergency shelter under the Connecticut State Constitution. Christian Community Action v. Cisneros – Settlement reached with HUD, the Housing Authority of the City of New Haven, and the City of New Haven in lawsuit challenging a nearly 50-year history of siting of public housing units in predominantly minority neighborhoods. Ward v. Thomas – Federal court preliminarily enjoins the State from reducing the benefits of welfare recipients living in federal and state public housing units by the alleged value of their housing subsidies, in the absence of any methodology for determining such value. Nelson v. Commissioner, Department of Social Services – Superior Court reverses the state’s decision to reduce a person’s General Assistance benefits solely because a temporary restraining order issued against her abusive spouse had split the living arrangements for her children. State v. Colton– The Connecticut Supreme Court holds that double jeopardy bars retrial of a murder defendant when the prosecutor had engaged in misconduct in the first trial to prevent a likely acquittal. Grillo v. Thomas – Settlement of action challenging the state Medicaid agency’s termination of a frail, elderly client’s home health services, without which she was forced to stay in a nursing home. Bristol Savings Bank v. Savinelli, et al. – Superior Court holds, in a foreclosure action, that the plaintiff bank is the subject of a tenant’s lease and cannot summarily eject a tenant during the term of her Section 8 lease, without good cause. Dime Savings Bank v. Buber – Settlement of a foreclosure action results in a non-profit agency taking over a property for the purpose of providing housing supports to disabled tenants and similarly-situated individuals in the future. State v. Person – The Connecticut Supreme Court reverses a murder conviction on the grounds that the defendant’s trial testimony, which in part contradicted his defense, did not preclude the trial court from giving a jury instruction on extreme emotional disturbance. Kostok v. Giardi – Following a favorable federal appellate court ruling on a jurisdictional issue in a case challenging the denial of a motorized wheelchair to a nursing facility resident, wheelchair is provided at state expense and state changes its system for reimbursing such devices under Medicaid for nursing facility residents. Ladd v. Thomas – Federal court holds that the state Medicaid agency must provide written notice to recipients whenever it denies requested medical equipment in whole or in part, including upon an oral request from an equipment provider. NAACP, et al. v. Milford Housing Authority, et al. – Settlement against the Milford Housing Authority for its withdrawal from the scattered-site public housing development program as a result of racially motivated public opposition. Frank v. Thomas – State changes its procedures to no longer require dually eligible recipients to exhaust Medicare appeals before Medicaid will pay for needed medical equipment. Desario v. Thomas – Second Circuit ruling upholds the state Medicaid agency’s use of an exclusive list of covered items of durable medical equipment, but the United States Supreme Court vacates this holding after the federal Medicaid agency weighs in on the side of the plaintiff class of Medicaid enrollees. In response the state agrees to pay for necessary durable medical equipment regardless of whether the equipment is on its list. Hargrove v. Town of North Haven – Federal court fair housing challenge to North Haven’s prohibition of the operation of sober houses in single family homes results in the granting of a variance to the zoning regulations allowing operation of one such sober house as a reasonable accommodation to the disabilities of the residents of the house. Tappin v. Homecomings Financial Network, Inc. – The Connecticut Supreme Court bars a party that acquired title to property through a mortgage foreclosure action from ejecting a tenant who took possession after the filing of lis pendens, where the tenant was not joined as a party to the foreclosure action. Pragano v. Wilson-Coker – State modifies its policies on durable medical equipment to prevent the denial of Medicaid payment on the grounds that this equipment is not covered by the federal Medicare program. Rabin v. Wilson-Coker – Second Circuit enjoins the State from failing to provide two-year extended (“transitional”) Medicaid benefits to working families who lost Medicaid coverage as a result of legislative changes raising the income eligibility limits for family Medicaid coverage. Edgewood Village Association v. Housing Authority of the City of New Haven – Connecticut Supreme Court upholds the dismissal of the plaintiff neighborhood association’s action to void the Housing Authority’s purchase of a single family home in a non-racially concentrated neighborhood for scattered site public housing. The purchase of the home was in accordance with the Housing Authority’s consent decree in Christian Community Action vs. Cisneros above. Karen L. v. Health Net of the Northeast, Inc., et al. – Private Medicaid HMO and State reach agreement resulting in broad compliance with federal due process requirements for notice and a hearing when health services are denied by Medicaid HMOs. State v. Peeler – The Connecticut Supreme Court reverses a murder conviction on the grounds that the defendant was deprived of his Sixth Amendment right to counsel of choice when the prosecutor, lacking compelling need, called the defense lawyer as a witness, resulting in the trial court disqualifying the defense lawyer from the case. State v. Soldi – Appellate Court holds that a five-year delay in serving a warrant was unreasonable, and as a result reverses a finding of violation of probation and a 42-month sentence. Health Net of Connecticut v. Freedom of Information Commission – Superior Court holds that capitated managed care organizations are performing a “governmental function” in administering the Medicaid program under contract with the Department of Social Services and thus are directly subject to the Freedom of Information Act, which requires divulgence of requested documents concerning rates paid to providers and frequency of pharmacy denials. Raymond v, Rowland, et al. – Settlement of a class action requires the Connecticut Department of Social Services to provide reasonable accommodations to disabled applicants for and recipients of DSS benefits and services. 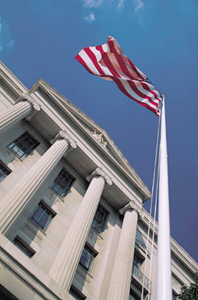 McKesson Health Solutions v. Starkowski – Superior Court, in a case in which a Medicaid enrollee is allowed to intervene, rejects a Medicaid managed care organization (MCO) subcontractor’s contention that its medical necessity criteria could be blocked from release to the enrollee based on the Connecticut Uniform Trade Secrets Act. Housing Authority of the City of New Haven v. Goodwin – Connecticut Appellate Court reverses denial of motion to open stipulated judgment by cognitively disabled public housing tenant holding that the Housing Court should have held an evidentiary hearing with respect to disputed facts before denying the motion on the papers. State v. Connor – The Connecticut Supreme Court holds that a defendant found competent to stand trial may nevertheless be too mentally ill to represent himself, in which case the trial court should appoint counsel to ensure the fairness of the trial. State v. Terwilliger – The Connecticut Supreme Court overturns a manslaughter conviction on the grounds that the jury should have been clearly instructed that the state had to disprove the defendant’s claim of justified defense of premises beyond a reasonable doubt. State v. Calabrese – Appellate Court reverses burglary and assault convictions on the grounds that the trial court should not have excluded from evidence an answering machine recording of the victim threatening the defendant. Urena v. DeBenedetto – Plaintiff employees of a local bakery, all then-undocumented persons, sue the bakery owner alleging employers’ wage theft, violation of federal anti-trafficking laws, and abusive employment practices. The complaint has been stayed pending the outcome of a federal criminal investigation. State v. Bryan – Appellate Court reverses an assault conviction on the grounds that the evidence warranted a jury instruction on defense of others. In Re Lukas K. Connecticut Supreme Court holds that incarcerated father was not deprived of due process, in a termination of parental rights case, by trial court’s denial of his request for a transcript of the trial and a continuance so that he could recall witnesses and respond to the mother’s evidence all of which was presented outside of his physical and auditory presence. Valley Housing, et al. v. City of Derby – Federal court holds that the City of Derby, motivated by discrimination against the disabled, illegally denied zoning certification to a non-profit developer of supportive housing for people with disabilities and awards more than $750,000 in damages for the nearly three year delay in the development of such housing. Dixon v. Zabka – Seeking a fair day’s wage for a fair day’s work, fomer employees of two companies selling high-end vacuum cleaners have filed a federal court FLSA collective action/class action challenging their misclassification and the employers’ wage theft and also seeking damages for fraudulent recruitment practices which lured plaintiffs with false promises of high pay. Wilkins v. Housing Authority of the City of New Haven – Class action brought on behalf of tenants with no income who were wrongly being charged too much rent and being evicted for their inability to pay such rent in violation of federal minimum rent laws.